Once a list of possible offenders has been compiled, it’s time to decide which ones to disavow, meaning which ones to eliminate or renounce so they no longer factor into search engines’ evaluation of the site. But because there's no way to know with certainty which backlinks may be causing a disadvantage, don’t start disavowing sites willy-nilly. Rather, do some research on SEO forums and seek advice about which links are likely dragging everything down. In general, sites that offer very little value to the visitor can be considered corrupt candidates. If there's absolute certainty that an inbound link is doing more harm than good, try contacting the webmaster of that site and asking them to remove it. This is the most effective route, but not always the most realistic. If the website owner is unreachable, consider taking matters into your own hands. When that becomes the case, Google’s Disavow Links tool can be used to remove bad links from link profiles and improves your overall ranking. Sometimes, you just have to roll up your sleeves and do the dirty work yourself. Unfortunately, many webmasters suffer penalties without even realizing that they have sketchy backlinks in the first place. If there has been a sudden drop in your search engine rankings, now is the time to disavow those harmful links and focus on high-quality content marketing. Here’s a great article from Search Engine Watch on how to recover from Penguin. Sometimes, after setting up an account with Google Search Console, you might also receive a Manual Action alert instructing to make some mandatory changes to SEO (Search Engine Optimization) in order to remain listed in Google Search. In these cases, Google will offer some guidance as to the next steps. Once those actions are completed, it’s advised to submit a Reconsideration Request to Google so that the search engine can crawl the most recent version of the website and give it a new ranking based on current factors. 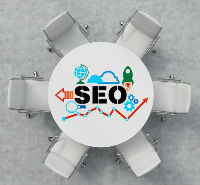 Fortunately, those who manage their sites using online website builders like Wix and Web.com have been largely unharmed by the Penguin algorithm updates, provided they avoid black-hat SEO techniques. The SEO options that are built into the top website builders—such as page titles and descriptions—are still valid and important for driving traffic to a website. Looking to learn even more? Explore our growing library of articles for webmasters.